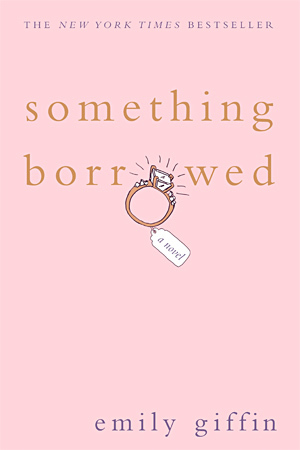 I literally judge books by their cover, and Something Borrowed caught my eye five years ago. It was so good that I spread it like herpes and gave it to all my girlfriends. Apparently, I wasn’t the only one who thought it was amazeballs, and it has been turned into a movie! It won’t be released till next year, but the girls and I attended a private screening of it last night. I expected to be disappointed, as I usually am with film adaptations of books I’ve read (The Da Vinci Code, Twilight), but the four of us who have read the book thought the movie did it justice, and my other two friends loved it without having read the book first. I think I’ve said all I’m legally allowed to say per the confidentiality agreement I had to sign, but I can’t wait for the movie to be released next year so I can watch it again (and see if my anonymous suggestion for more shots of Colin Egglesfield with his shirt off was taken into consideration).